it did not stop Kenya, Tanzania and Uganda’s finest from stepping up. To add the cherry to this day, we played a wild card where we added four other players from the round of 16. This saw a total of 16 players fight for a chance at the 1.5 million prize pool. All through the day, Kenya came in strong but Tanzania was their stumbling block. This was so real that Sunche (TZ) and Epsilonmalvin (KE) ended up not losing a single game and hence they had to face off. This face off showed us that indeed it was all or nothing! Tanzania’s last man was fighting for his country. After 15 minutes of a tied match, Epsilonmalvin proved to be the better player of the day and that was enough to push him through to the top 8. Even though Epsilonmalvin went through to the grand finale undefeated, the question was, is he going to maintain his winning streak? 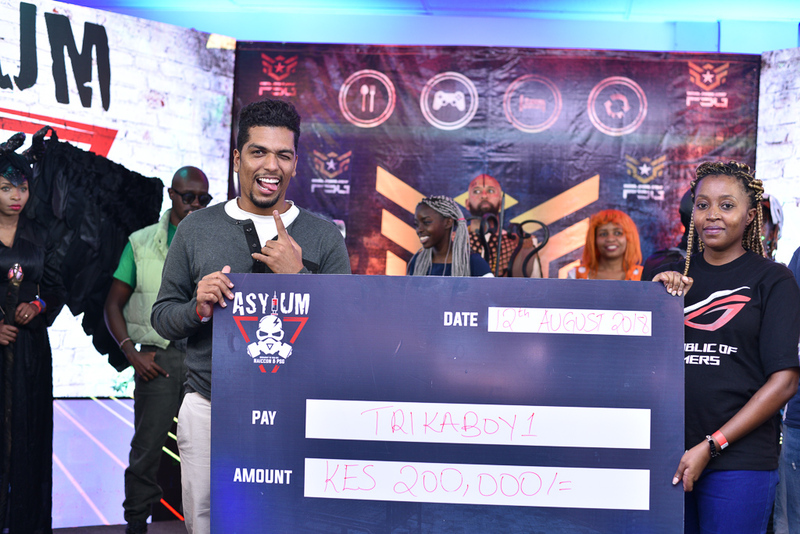 Day two of Asylum’s African E Cup; the grand finale started with a lot more enthusiasm and excitement. The audience was not only more but they had picked their sides. Everyone knew who they were rooting for. The odds for Kenya where high as they had four players: TheBlackHavoc, KingSlayer, Ndukimoto, Epsilonmalvin; Tanzania had three players ready to show who was boss: Trickaboy1, Sunche, Dulinhoman9; Uganda had their secret weapon: Osman_Senior. For the grand finale, the tournament rules changed and now it was double elimination. This was the only change to the tournament and this was welcomed well. The first round went by quick! To our surprise, Tanzania was not willing to let the top prize pool cash go. This saw Sunche, Trickaboy1, Epsilonmalvin and Kingslayer winning their rounds and go to the winners semi-final and losers semi-final respectively. 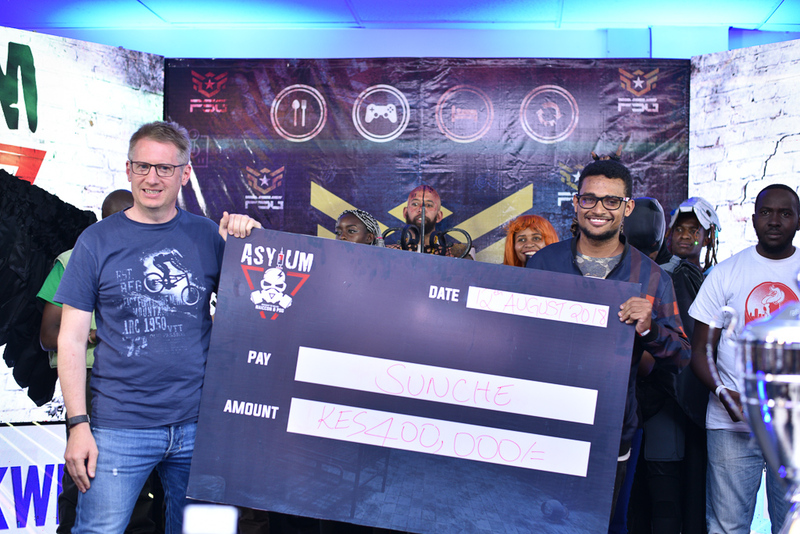 The winners’ final was set; Sunche Vs Trickaboy1 and the losers final; Epsilonmalvin Vs KingSlayer. In the losers final, KingSlayer, standing to his name, dethroned Epsilonmalvin. 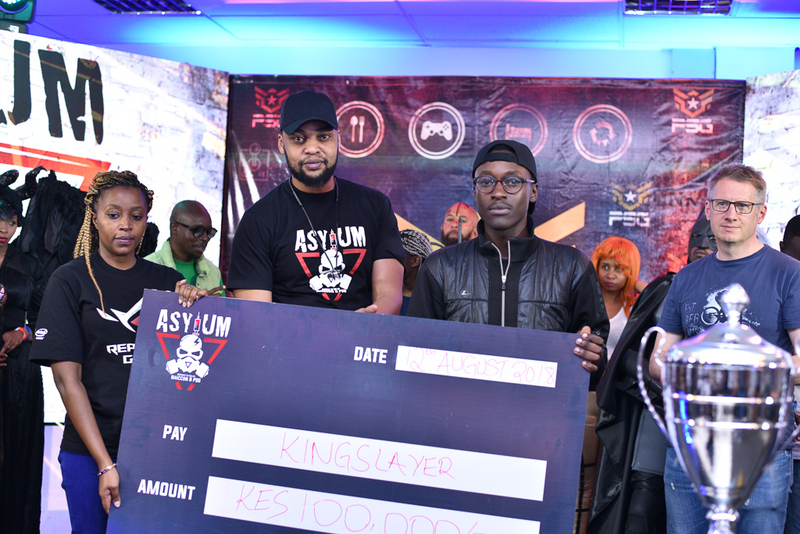 KingSlayer walked away with 3rd place and 100,000Ksh. The winners’ final was not so easily determined, as once again we had a 15 minute match. Extra time and penalties could not break the tie and so the game was played one more time, and in this round, Sunche came in and tricked Trikaboy1.